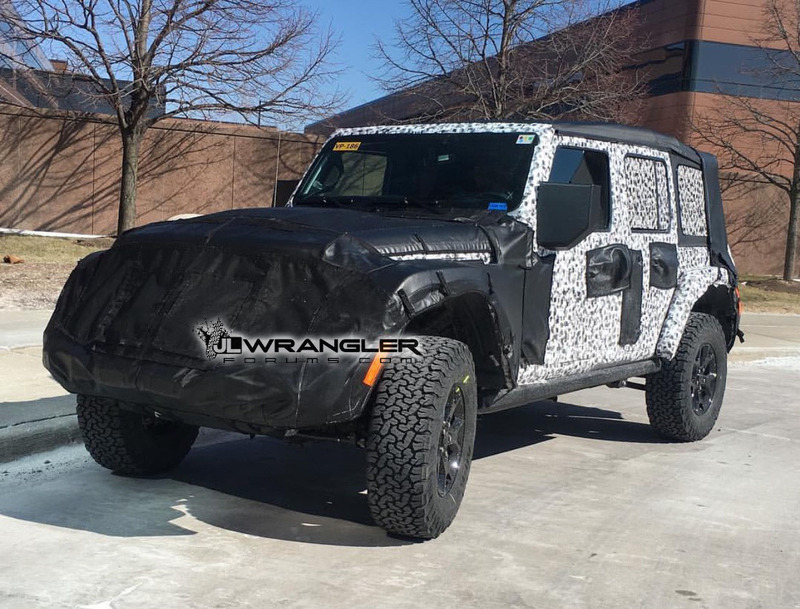 The upcoming redesigned 2018 JL Wrangler has several rumored exciting updates. One of which involves the variety of roof top options as well as some possible communication accessories. The 2018 JL Wrangler’s top has been rumored to come in three distinct options. 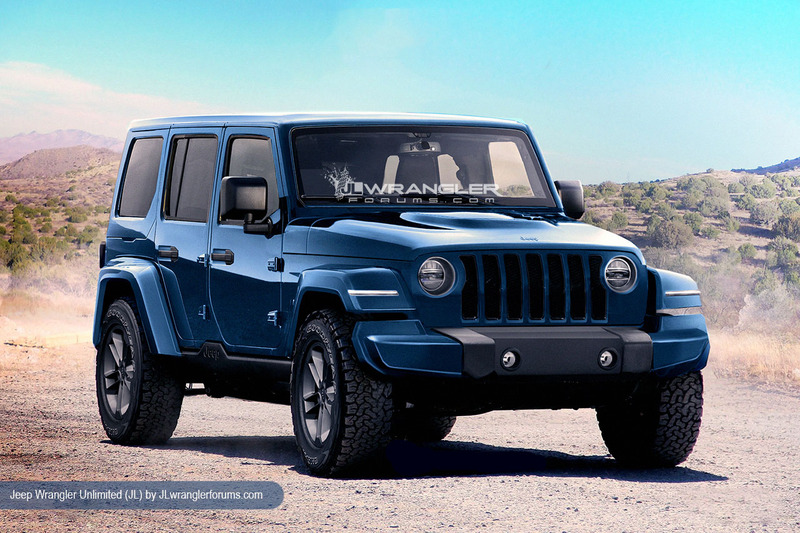 As reported in the past, the upcoming Wrangler might come equipped with a soft top that might be power retractable along frame channels located on the sport bar. This top option has been among the most anticipated, finally providing Wrangler owners with the possibility of easily retracing the soft-top and avoiding the need to manually retract is between two people in larger unlimited models. The second option might include the standard fiberglass hard top with removable freedom panels, found on current models. This top would still get a slight redesign, according to past spy photos that highlighted the possibility of centerline provisions or handles to make removal/installation easier. The third option was always rumored to have been a fixed hard top, which seems to have just gotten more interesting. Recent spy photos from our friends on the JL Wrangler Forum show a series of levers and switches along the interior overhead console, on a prototype JL Wrangler equipped with a hardtop. The series of switches look like the controls found on Jeep Renegades equipped with MySky Power retractable roof panels. The hardtop fiberglass panels found on the Renegade can retract electronically along roof channels, like a regular power sunroof found on most vehicles. In addition, the MySky panels can also be fully removed and stored flat inside the vehicle’s cargo floor with an included storage bag. What makes this recent rumor interesting is the possibility that it could finally lead to confirmation of a fixed hard top option for the Wrangler. A fixed hard top would provide more structural stability and would most certainly come with a cargo railing system to help with accessories mounts for bikes and skis. This would also be an interesting addition to the lineup of top options, appealing to owners that normally run a hard top year-round and never felt the need or desire to remove the top, just occasionally removing the freedom panels. This power retractable option would make that process even easier. Another recent rumor brought to us by our friends at JL Wrangler forum, indicates the possibility of a CB radio accessory mount and wiring. CB radios are incredibly useful while on the trail, often providing a reliable form of communication when you’re located in an area without cell phone reception. Hard-wired CB units also provide a greater range when compared to hand-held walkie-talkies. It’s still unconfirmed if this will be a standard or optional accessory or if a separate CB antenna will be used or combined along with the radio antenna. In addition, the location might be a concern if it’s designed to share the overhead console space with the rumored MySky control panels. 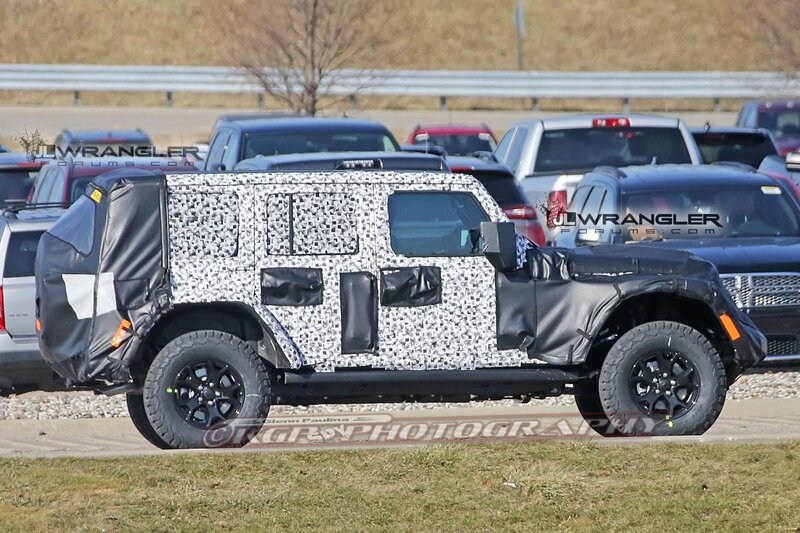 Previous Entry 2019 JT Wrangler Pickup Truck Spotted Testing! I’m looking forward to jeep wranglers coming out with a powered hard top sunroof!!! !